recently I was asked by friends who are looking for tefillin to check out a Judaica store here in Israel that has an advertisement for tefillin for $144. Mezuzahs, Tallitot or Tefillin that have been used - even for one time"
meaning, that if you find out that the tefillin is possul, you can't get your money back. I read about the manager on their website that he is a graduate of very prestigious yeshivos, as well "expert Torah scribe, inspector and proofreader of religious STaM parchments." I was very suspicious, but I did my shlichut. I've called the store. I've talked to the manager, and asked him about the parshios inside. I've asked if I can see photos of the ksav. I was told that he is unable to send my photos, because they get the parshios from different sources and he cannot know where exactly the ones that I am buying are coming. 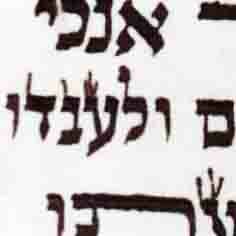 And by the way, the parshios are written on klaf mashuach. אם זה מישהו שמעניין אותו פרשיות, אז זה לא בשבילו. Meaning he cannot stand behind his product and cannot say: the tefillin I am selling is kosher. Of course I didn't buy anything. He might be correct regarding his assumption the God fearing Jews won't buy from him, but what about amecha beis Yisroel? I am wondering is there a reason making an issue out of it. 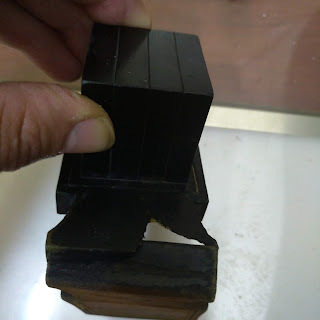 Is there a makom being dan him lechaf zechus, saying, the buyers won't buy anyway better tefillin, their other option is not having any, and these tefillin might be kosher according to some deios of you are metzaref all kinds of kulos? Even though as a sofer I really don't understand who possibly a kosher pair of tefillin costs 144 USD, in fact I don't know as fact that they are possul. if you have energy to correct the world lets start with the so called god fearing klaf makers/sofrim/sochrim/magihim/metaygim/mochkim/metaknim/tofrim/giddinmakers/batimakers/retzua makers.many people pay 10*144 and end up with posul tefilin. i checked a pair this week that had a negia and was worn for many years. 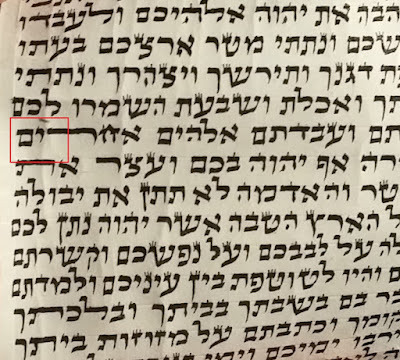 most klaf has a hecsher from a rabbi that nobody knows who he is. It seems that many of these cheapo pairs coming from Israel have recycled parshiyos in new pshutim batim with new straps. That's my experience.